Shy children were given a meal and a plane or bus ticket to locations around the U.S. as nonprofit groups tried to smooth the way for kids reunited with their parents following their separations at the U.S. Mexico border. The Trump administration said Thursday that more than 1,800 children 5 years and older had been reunited with parents or sponsors hours before the deadline. 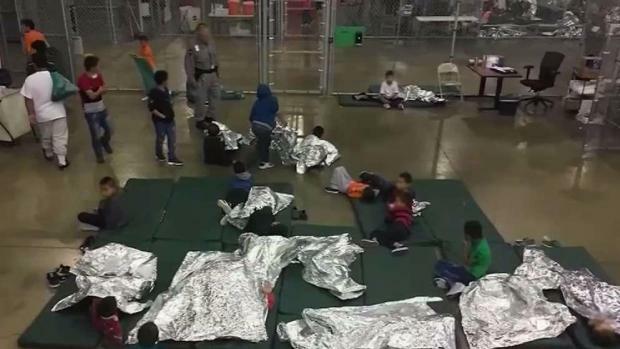 That included 1,442 children who were returned to parents who were in U.S. Immigration and Customs Enforcement custody, and another 378 who were released under a variety of other circumstances. On Friday morning, Homeland Security officials said they had reunified all eligible parents with children — but noted many others were not eligible because they have been released from immigration custody, are in their home countries or chose not to be reunited. Updated figures were not made public, but new data was expected to be released Friday at a court hearing in San Diego held by the judge overseeing the reunification process. Lee Gelernt, an attorney for the American Civil Liberties Union representing separated parents, said Thursday it was unclear how long it might take to find the parents returned to their homelands. "I think it's just going to be really hard detective work and hopefully we're going to find them," he said. U.S. District Judge Dana Sabraw will also consider the ACLU's request to give reunified parents at least a week to consider if they wish to seek asylum. The government opposes the waiting period, and Sabraw has put a hold on deporting reunified families while the issue is decided. On a parallel legal front over treatment of immigrant children, U.S. District Judge Dolly Gee in Los Angeles will be asked Friday to appoint a special monitor to oversee detention facilities. Children described horrid conditions in a voluminous report filed this month over whether the Trump administration is meeting its obligations under a long-standing settlement governing how young immigrants should be treated in custody. As the deadline neared, small groups of children were led in and out of Lutheran Social Services in Phoenix all day Thursday, sometimes holding hands with a worker from the center. Children and parents wore matching hospital-like identification bracelets and carried belongings in white plastic bags. The men sported shoes without laces that were taken away while in immigration detention. Support worker Julisa Zaragoza said some kids were so afraid of losing their parents again they didn't want to go to the bathroom alone. "These families have been through a lot," she said. The federal government was supposed to reunify more than 2,500 children who were separated from their parents under a new immigration policy designed to deter immigrants from coming here illegally, but the policy backfired amid global outrage over crying children taken from their parents. 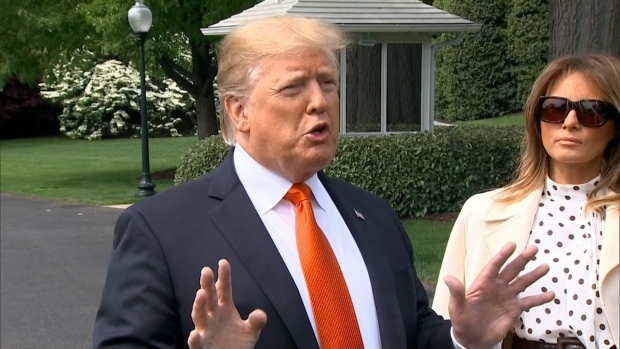 President Donald Trump ended the practice of taking children from parents and Sabraw ordered the government to reunite all the families by the end of Thursday, nevertheless indicating some flexibility given the enormity of the effort. 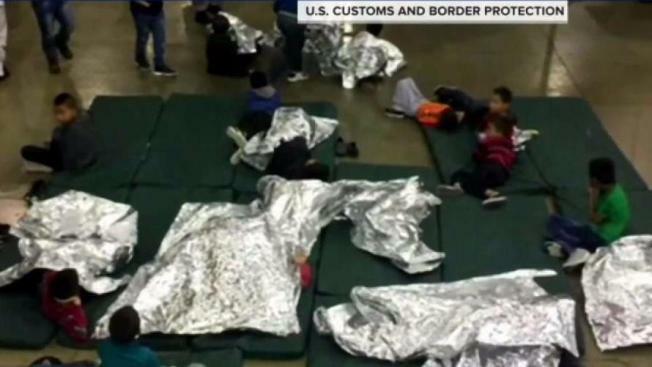 Chris Meekins, the head of the office of the assistant secretary for preparedness and response for Health and Human Services, said the government would continue to reunify families with eligible parents throughout the evening. In most cases the families are released and the parents typically get ankle-monitoring bracelets and court dates to appear before an immigration judge. Faith-based and other groups have provided meals, clothing, legal advice, plane and bus tickets and even new shoe laces. A charitable organization called FWD.US, founded by technology leaders including Microsoft founder Bill Gates, Facebook CEO Mark Zuckerberg and Dropbox founder Drew Houston was paying for the airline tickets, the bus tickets and the lodging for all the families newly reunited in the Phoenix area to get them to relatives living all over the United States, said Connie Phillips of Lutheran Social Services. She said a phone company donated 500 mobile phones for the migrants, each with six months of free service. There were scattered reunions in various locations Thursday, including about 15 in Phoenix, said Phillips. The main immigrant-assistance center in El Paso, Texas, has been receiving about 25 reunified families daily. Some children who had not seen their parents in weeks or months seemed slow to accept that they would not be abandoned again. 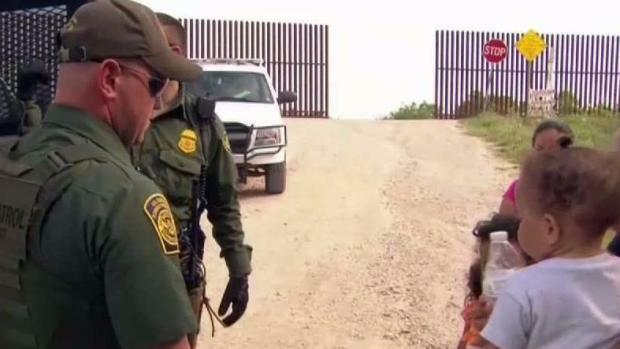 Jose Dolores Munoz, 36, from El Salvador, was reunited with his 7-year-old daughter last Friday, nearly two months after they were separated, but he said his daughter cries when he leaves the house. "She is afraid," Munoz said. "Yesterday I left her crying, she is telling me, 'You are not coming back.'" Those who remain separated from their children include Lourdes de Leon of Guatemala. She surrendered to authorities at the border and was deported on June 7, while her 6-year-old son, Leo, remained in the U.S.
At the Lutheran center, Phillips said the parents and kids have opened up as they go through an assessment process with workers. She said the outpouring of donations has been comforting.